I know we haven’t even reached February yet but in the fashion world… it’s SPRING! Personally, I am not quite ready to start building my warm weather wardrobe. I am, however, ready to help you curate your closet. When I reached my thirties it was more about having a collection of timeless, well fitting and well-made pieces over the piles of $15 shirts I wore once. 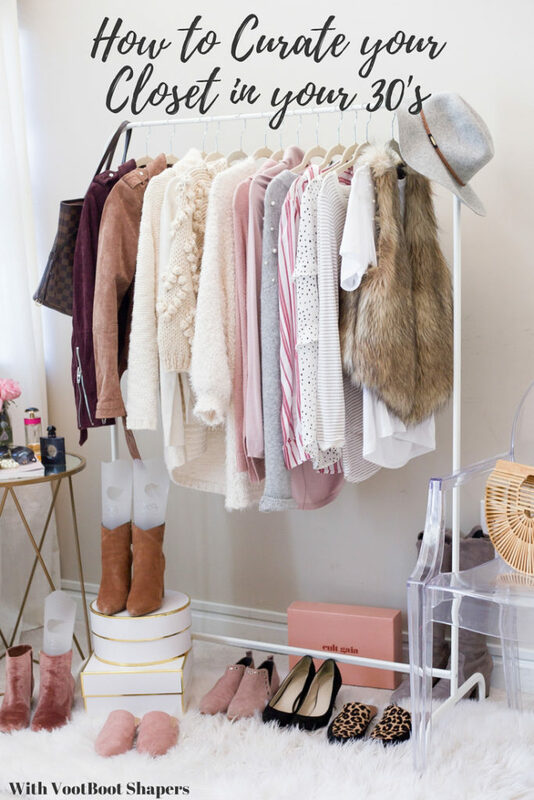 Fashion is ART in my eyes, and I love to display my favorite pieces on my clothing rack. It helps me see what I am loving at the moment as well as lacking. 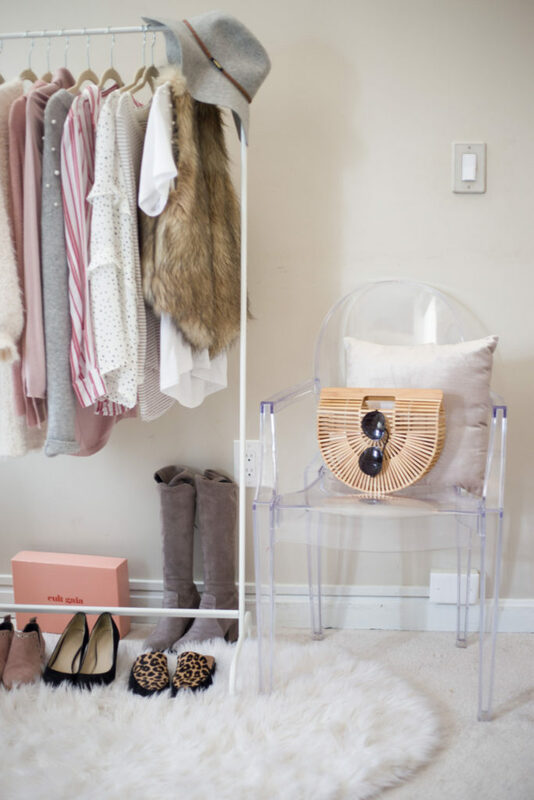 When it comes to curating your closet it is important to pick selectively. Quality over quantity if you ask me. Have you ever looked at a sea of clothing and said: “I have NOTHING to wear”? I know I sure have! Which got me thinking about how this happens. You are not choosing for your lifestyle. 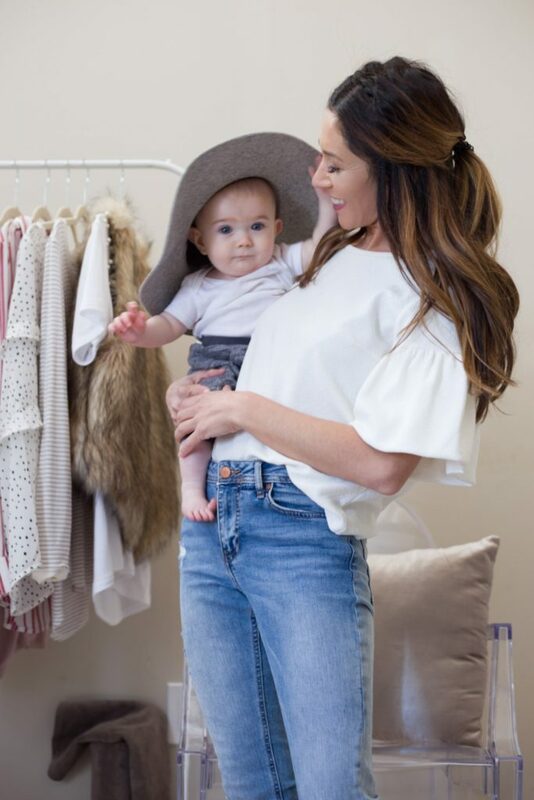 If you’re a busy mom and filling your closet with stiletto & mini skirts well….. you better know how to run in those things! Just because something is on trend doesn’t mean you have to like it, wear it, or that it WORKS for you. If you buy anything (not just clothes) you should LOVE it 110%. If you kinda like it, I can promise that you will hate it in a month. No diversity. I do this all the time. You start shopping for only one thing. You get on a shoe kick and don’t buy anything else for a while. If it doesn’t fit, DON”T buy it!! This seems really easy, but I can almost guarantee that if you went through and tried on all the jeans in your closet, that half don’t fit properly. VootBoot shapers in my boots last season. Why I didn’t sooner is beyond me. I am so happy that my favorite boots are retaining their shape. Footwear is one of the hardest items to keep looking their best. How many booties have you bought that creased at the ankle, or got put back in the box to have winter salt completely eat away at the fabric? TOO MANY PAIRS! So, we are growing up and curating our dream wardrobe! 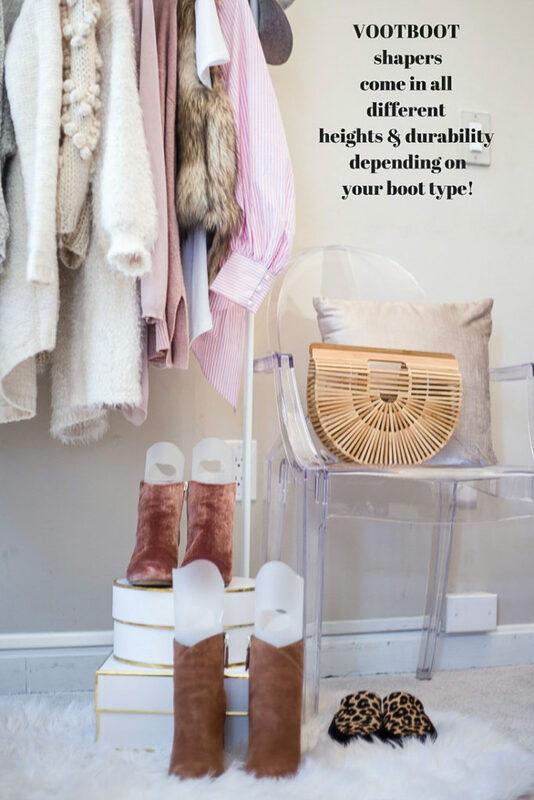 It’s time to spend money on the proper hangers, Boot shapers like VOOTBOOT and find yourself a good seamstress! 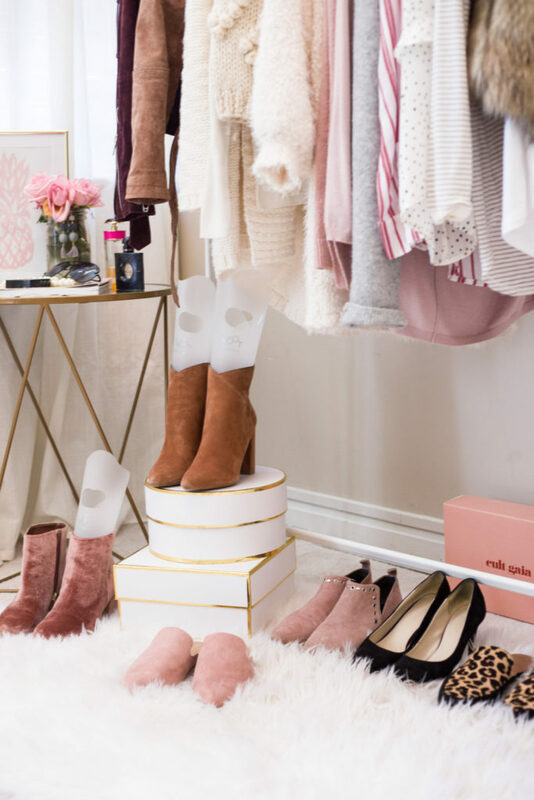 These are the kind of things that will keep your curated closet pieces looking their best for many years to come. Thank you VOOTBOOT for sponsoring this post.